Global Maximum Educational Opportunities, Inc. (g-MEO) is dedicated to delivering China study abroad program options meeting the highest quality standards in a variety of locations, offering a wide array of courses in English, as well as Mandarin Chinese language training and hands-on learning such as internships and community service. Global Maximum Educational Opportunities, Inc. (g-MEO). 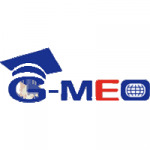 g-MEO, headquartered in New York City, is a Delaware company founded in 2011 to increase substantially the number of US college students going abroad to China to study, including those in variety of majors and fields. G-MEO's Study Abroad Program in China offers two distinct program options: Partner Universities in Greater China and American Centers for Study Abroad. G-MEO collaborates with four top-quality Universities - Shanghai Finance University and Tongji University in Shanghai, Xi'an's Jiaotong-Liverpool University in nearby Suzhou, Jiangsu Province, Soochow University in Suzhou, Jiangsu Province, and Yuan Ze University in Taipei - to offer a wide range of courses taught in English. The pioneering idea of co-founder and Chairman of Global Maximum Educational Opportunities, Inc., Dr. David Chang, g-MEO offers an English language, US-style learning environment in Chengdu, Sichuan Province in the Southwest. It will have several US universities and colleges that will offer a range of their courses. The prestigious Sichuan University is its host institution. The Center is scheduled to have its grand opening in May 2012, with its inaugural semester in Spring 2013.